Hey lovelies, I hope you are having a great day. 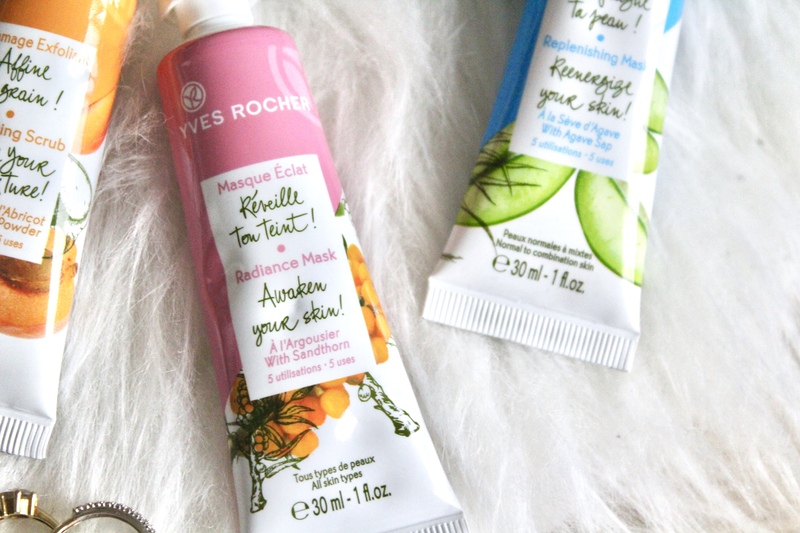 In today’s blogpost I am going to review the new range of face masks of Yves Rocher. 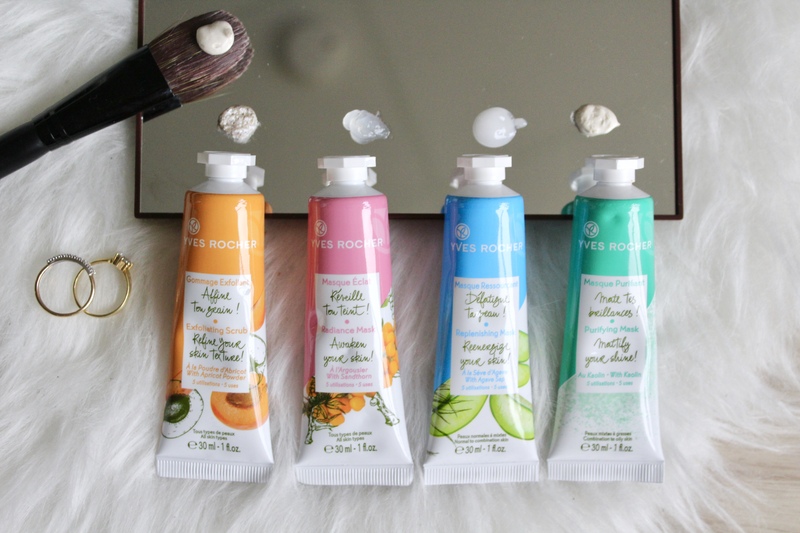 If you go to the Yves Rocher once in a while like I do, you’ve probably seen these face masks somewhere in the store. 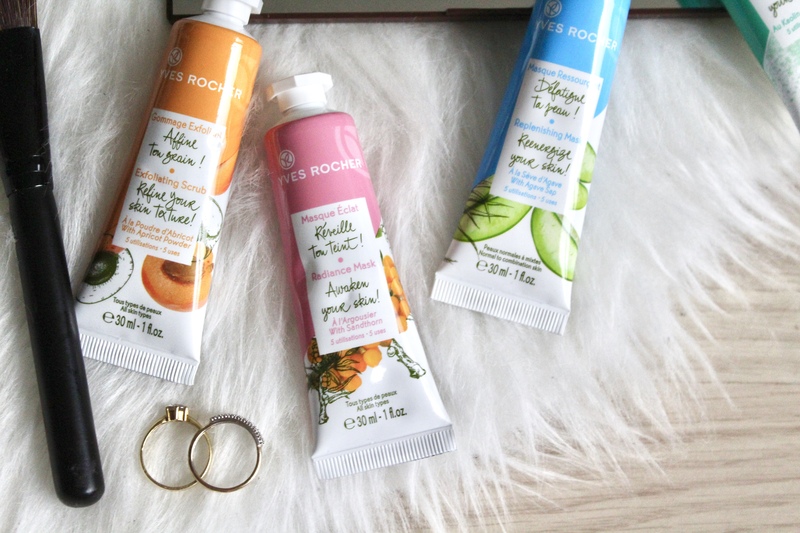 I am going to give my first impressions of the products as well as do a little review. 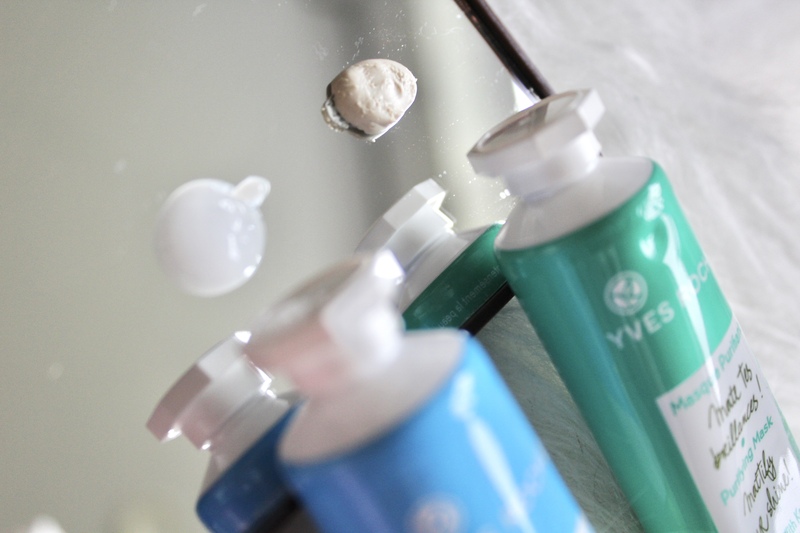 I have been testing these masks for a little while which makes it easy to tell what these masks do for my face. Now, let’s review! The Radiance Mask is supposed to awaken your skin. It’s super easy to use. Put it on your face, leave it on for 5 minutes and remove the excess with a tissue/cotton pad. I love this face mask. I put a thin layer on my face before I go to bed and leave it on all night. 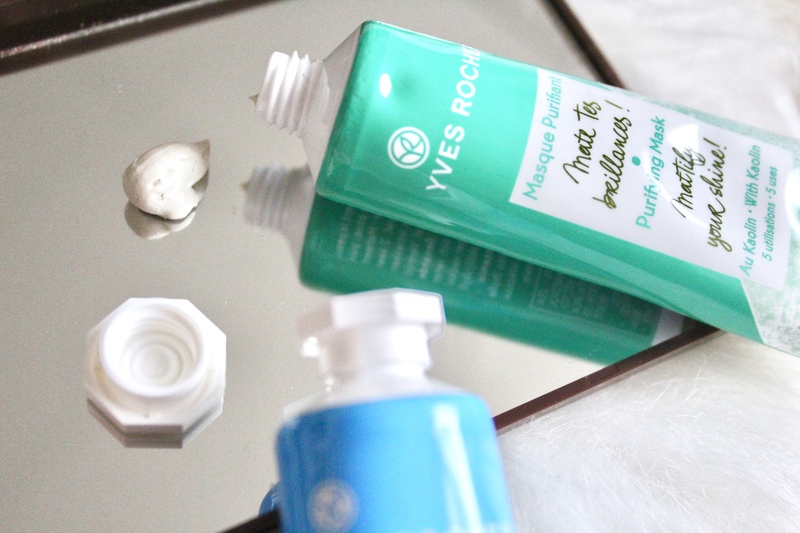 I wake up with a face that feels soft and is super hydrated! The packaging says you should use it twice per week. This mask is fit for all skin types. I think this mask is especially perfect during the winter months when your skin gets dried out by the weather. The Replenishing Mask will reenergise your skin. As a student my skin definitely suffers when I study until late and take care of myself a little less than usual. I use this mask the same way as the Radiance Mask and I love it. I don’t really feel a huge different between the two of them. The only difference is that this mask is suitable for normal to combination skin, so it’s not for oily or dry skin. This face mask also gave my skin a boost, it’s glowing and hydrated. The packaging also recommends to use it twice per week. The Exfoliating Scrub is also a really nice one to use. This is not a face mask but a scrub to exfoliate your skin. The packaging recommends to use this once or twice a week. Put it on your face after making it a bit wet, scrub and then rinse it off. I loved using this one. It left my skin soft and hydrated after using it. The scrub was not too hard for the face, it was nice and pleasant. This scrub is also suitable for all skin types. Ingredients: AQUA, STEARIC ACID, PROPYLENE GLYCOL, PRUNUS ARMENIACA SEED POWDER, GLYCERIN, CHAMOMILLARECUTITA FLOWER WATER, CETETH-20, ISOPROPYL PALMITATE, POTASSIUM HYDROXIDE, CETEARYL ALCOHOL, SODIUM COCOYL ISETHIONATE, XANTHAN GUM, HYDROXYACETOPHENONE, BENZYL ALCOHOL, CETEARETH-33, PARFUM, SALICYLIC ACID, MACADAMIA INTEGRIFOLIA SEED OIL, LIMONENE, CHAMOMILLA RECUTITA FLOWER EXTRACT, SODIUM BENZOATE, CITRIC ACID, POTASSIUM SORBATE, SODIUM SULFITE. Lastly, the Purifying Mask, which is the only clay mask. It is meant for combination to oily skin. The packaging recommends to use it twice per week. You can use it by putting it on your face, leaving it for 5 minutes and then rinsing off with water. I think this is the first clay mask that didn’t leave my face all dried out after using it. In fact, I didn’t even have to put on a moisturiser after using it! That’s new for me. I also love how fast this clay mask is. It only takes 5 minutes to get the job done. My skin felt great after using it. I really feel like it cleaned my pores. Ingredients: AQUA, KAOLIN, ZEA MAYS STARCH, METHYLPROPANEDIOL, ALCOHOL, STEARALKONIUM HECTORITE, CETYL ALCOHOL, CENTAUREA CYANUS FLOWER WATER, CETETH-20, SCUTELLARIA BAICALENSIS ROOT EXTRACT, PHENOXYETHANOL, PARFUM, TOCOPHERYL ACETATE, HYDROXYETHYLCELLULOSE, BENZYL ALCOHOL, SODIUM BENZOATE, POTASSIUM SORBATE, SALICYLIC ACID, CITRIC ACID, ACRYLATES/C1030 ALKYL ACRYLATE CROSSPOLYMER, COCAMIDOPROPYL BETAINE, SODIUM HYDROXIDE. What I especially love about these face masks is that you can mix and match them. You could use the Purifying Mask on your T zone and the Radiance Mask on your cheeks for example. Because they are so small you can apply it on the parts of your face that need what the mask does (for example hydrating or intensive cleansing). I also love the packaging. The masks remind me of paint in tubes. They have the same lid as those tubes. The tubes contain 30 ml of products each which is not that much but it’s a good amount for the price which is €3,95 per tube. They are sold separately at Yves Rocher. The size is perfect for traveling and I would certainly consider to take one with me if I am going on a holiday! 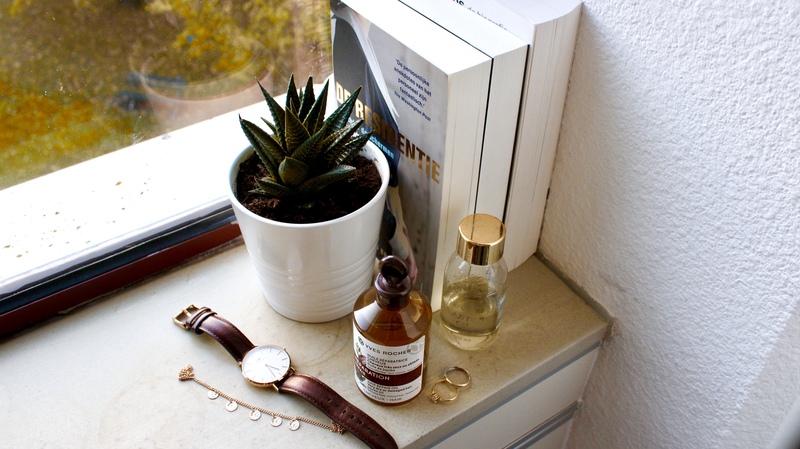 I hope you enjoyed this blogpost. 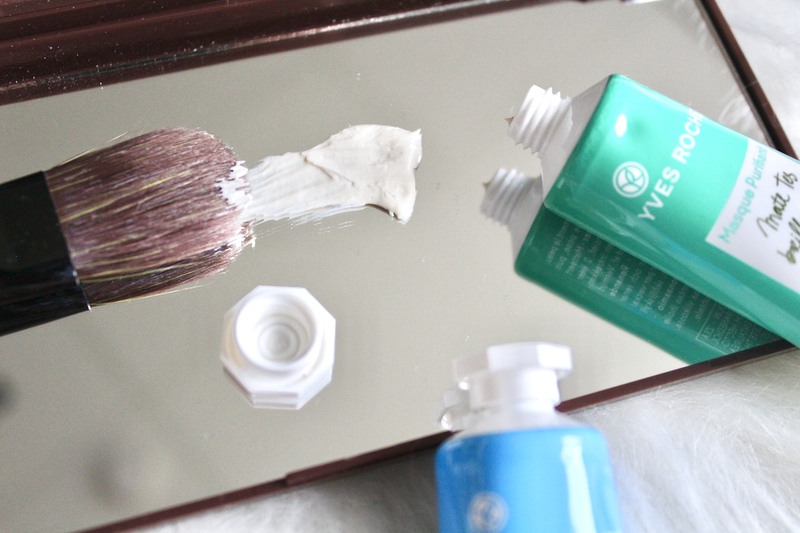 Have you ever tried these face masks before? 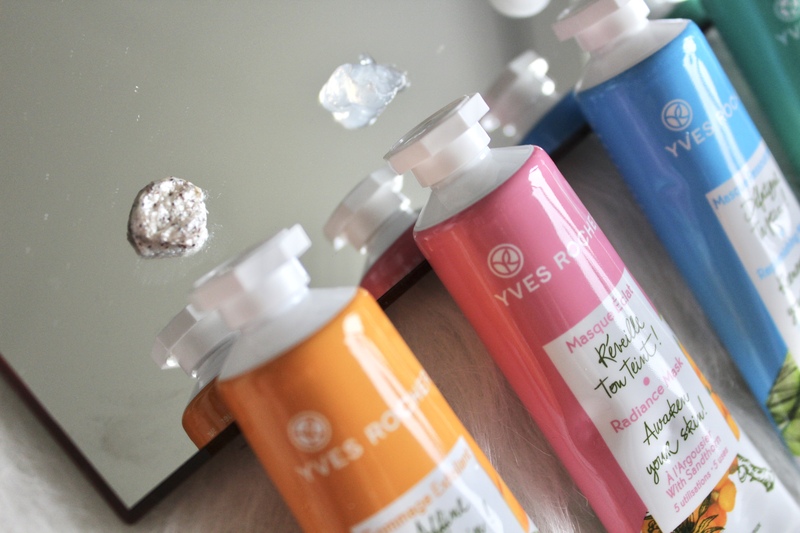 Or any other product from Yves Rocher? Or do you have suggestions for other blogposts? Let me know in the comments below! 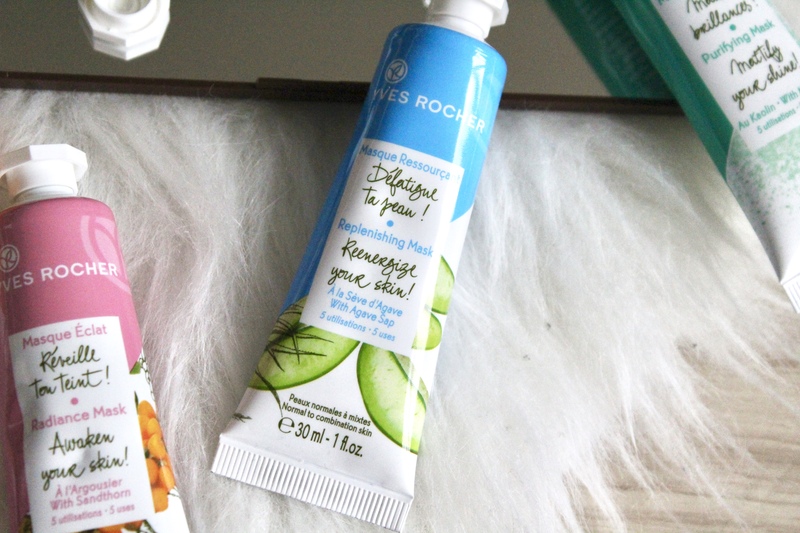 FTC: the products that were reviewed in this article were gifted to me by Yves Rocher (Belgium). All opinions expressed in this blogpost are all of my own and 100% honest. I did not get paid to write this blogpost. Thank you for the review! I really want to try the replenishing mask, as a student i feel like i need it!